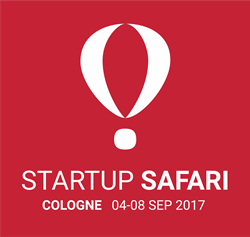 cleverbridge, a provider of global ecommerce, billing and payment solutions, announces its participation in Startup SAFARI Cologne to be held September 4-8 in Cologne, Germany. cleverbridge will host a session led by Director of Development-Organization Ortwin Lihs entitled “Hippe Kardinaele! How to scale innovation!” from 5:00-6:30 pm on September 5 at the cleverbridge world headquarters in Cologne. Founded in 2005, cleverbridge has grown from a small startup to more than 300 employees between offices in Cologne (Germany), Chicago, San Francisco, and Tokyo today. During Lihs’ keynote session, he will share experiences on the challenges that cleverbridge’s fast development created; lessons learned on how to scale the organization and to establish appropriate leadership; how to scale code production; how to avoid the innovators dilemma. Attendees are encouraged to discuss and share their experiences, hopefully helping to find solutions and new approaches for current and potential future challenges. In cooperation with the Pirate Summit, Startup SAFARI Cologne provides a week of workshops, speaking sessions and networking events to help connect and strengthen the local startup ecosystem. Unlike conventional conferences, sessions are held at each host companies’ premises, with participants customizing their own agenda while visiting the different sessions. In turn, the entire city of Cologne becomes the location for the event. For more information, or to register for Startup SAFARI Cologne, visit http://cologne.startupsafari.com. For real-time updates throughout the conference, follow @SAFARICologne on Twitter. To learn more about cleverbridge, please contact inquiry(at)cleverbridge.com or visit http://www.cleverbridge.com. cleverbridge provides flexible ecommerce solutions for monetizing digital goods, online services and SaaS. Our cloud-based ecommerce platform simplifies recurring billing, optimizes the customer experience and offers comprehensive global payment capabilities. Leveraging cleverbridge expertise, technology and services, clients effectively increase customer acquisition and retention while rapidly expanding into international markets for revenue growth. cleverbridge is headquartered in Cologne, Germany with offices in Chicago, San Francisco and Tokyo. For more information, visit http://www.cleverbridge.com.